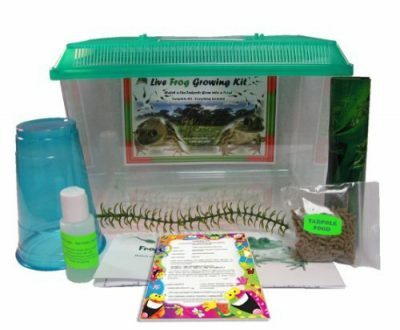 This LIVE frog growing kit offers children the unique opportunity to grow a frog from a tadpole. Kids get hands-on experience with the frog life cycle! Our medium kit is 1 gallon while our large kit is 2 gallons. 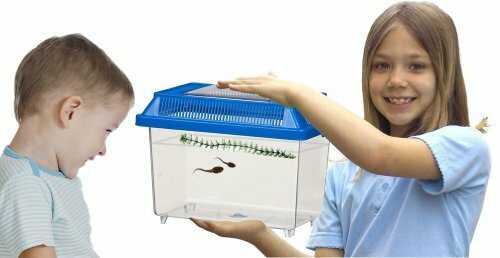 The habitat is a safe and healthy home for the tadpole shipped directly to your home. Lids are an assortment of bright colors. 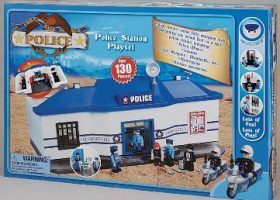 Order tadpole kits ANY time of year- a Fun Winter Project! Everything you need is included. Contains: 1 gallon habitat, mail-in certificate for 1 live tadpole, tadpole food, water treatment solution, water change cup, plastic plant, life-cycle coloring page, and easy instructions. 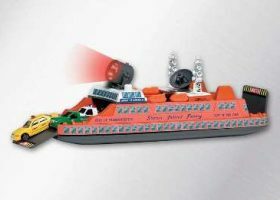 LIVE arrival guaranteed. Please do not order tadpole if below 40 degrees or above 85 degrees in your area. Our live arrival guaranty will be void if ordered during these temperatures. Please note: this time of year many of our tadpoles are developing their back legs. Your tadpole may come with smaller back legs.